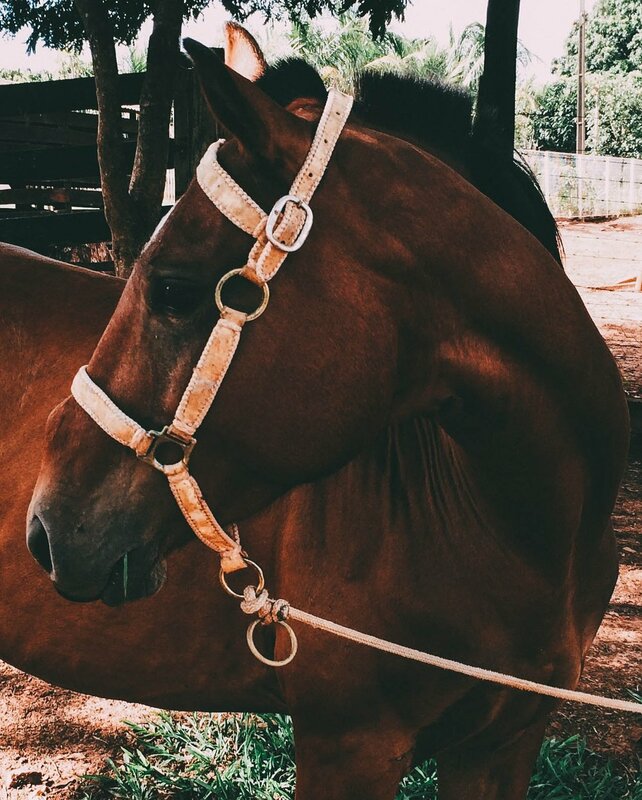 CARRIAGE ANIMALS NEED YOUR HELP! Speak out for those who can't speak for themselves. 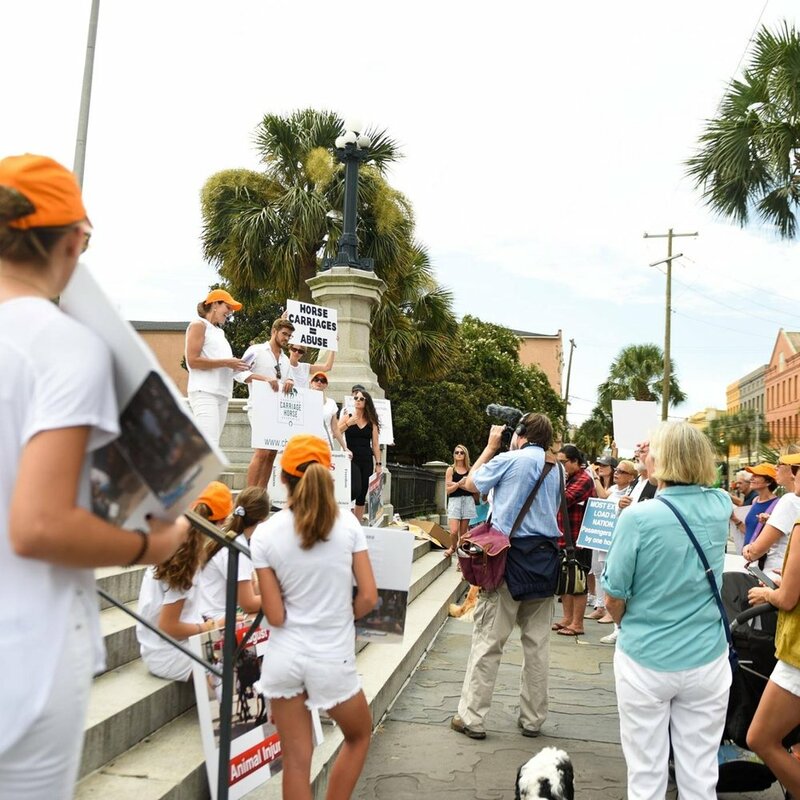 Our supporters help spread the word by proudly displaying banners, bumper stickers, and thermometers calling for the humane treatment of Charleston carriage animals. 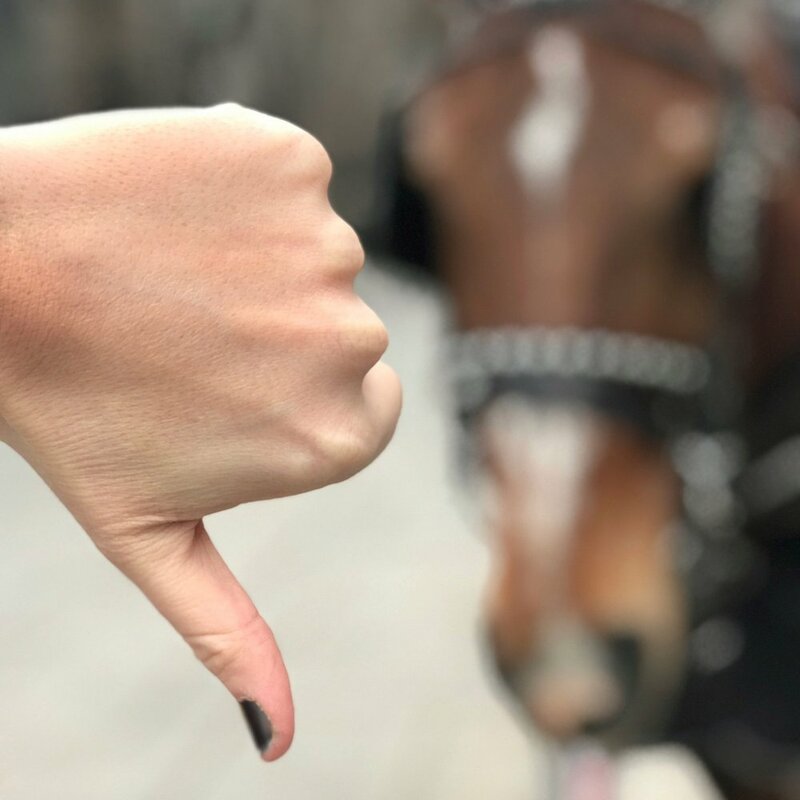 Join your neighbors in supporting the Charleston Carriage Horse Advocates by making a donation. We are having an impact. We hope to continue to use social media, static billboards, digital ads and print ads to get our message out. 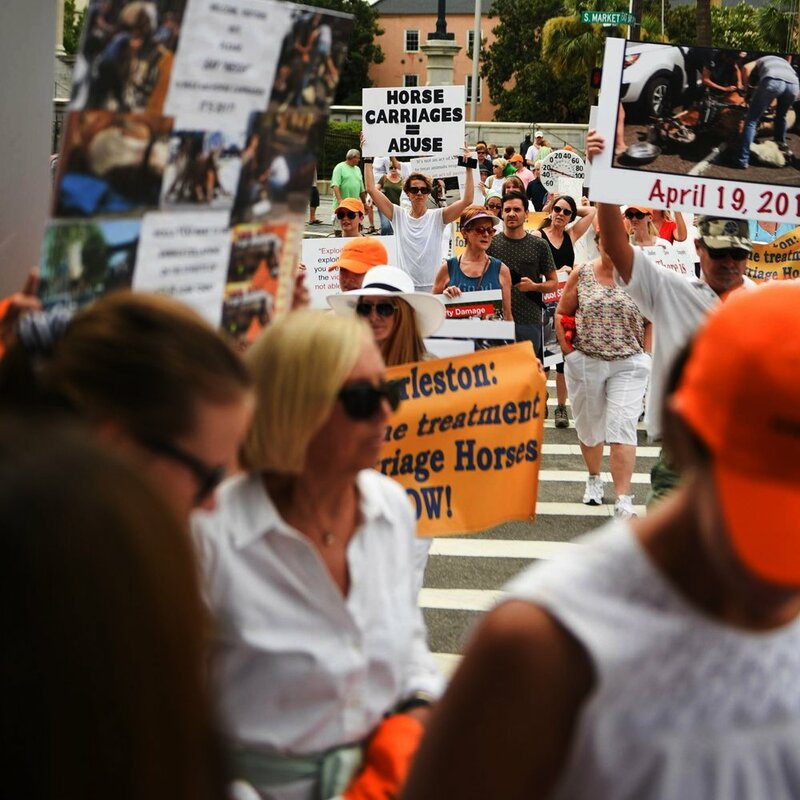 Together, we can effect change in the inhumane working and living conditions of carriage horses. In our first year, CCHA brought worldwide attention to the plight of these animals through our social media posts. In April 2017, Big John collapsed on Meeting Street. Firemen and carriage company employees had to help Big John get up. A bystander’s video was posted to the CCHA Facebook page. Over 13 Million people viewed his struggles on this video. Eleven national media outlets picked up the story, including USA Today. Our Facebook Friends jumped to 14,000. 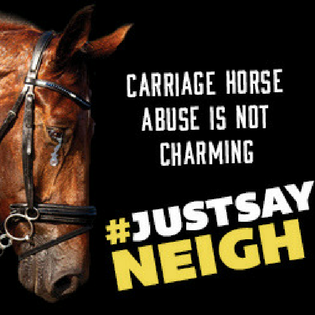 After two runaway carriage horse incidents, CCHA sponsored a billboard on I-26 depicting a runaway carriage and the tag line, “Better Safe than Sorry”. It has proven to be a powerful image. We have aired hundreds of thousands of Digital Ads, 300,000 of which ran over the holiday week, citing facts about the current Ordinance and asking potential passengers to consider before they purchase a ticket. Please consider making a contribution to keep up the momentum that we have begun to build. CCHA is a registered 501(c)(3) non-profit. Your contribution is deductible to the maximum extent allowed by law. Thank you for taking a stand with the horses and mules that pull the heaviest loads and in the most extreme temperatures in the U.S. Together, we can effect change in their inhumane working and living conditions.